It is the time of year when harvests from the garden begin to taper off, Halloween decorations go up and a girl’s thoughts turn to fungus. It was this time last year that I was trying my hand at growing shiitakes on my breakfast bar. With the success of last year’s shiitakes under my belt, I wanted to expand my repertoire this year and grow some Elm Oyster Mushrooms also. My first grow out of my box kit was productive and I am resting the kit for it’s second grow now. The ‘grow your own mushrooms from a kit market’ has exploded in the past couple of years and there are many great vendors out there, but I have to give a shout out to the wonderful and personal customer service from 100th Monkey Mushrooms. I love the helpful videos, the quick and helpful response via email for questions and their outstanding customer service – when I placed my order online for my Shiitake blocks and the Elm Oyster box a couple of weeks ago, Jimm called to let me know that the Shiitakes would not ship for another month and to see if I wanted to receive them together or separately. I am still waiting to see what (if anything) will happen with the 2 morel kits I ordered from Gourmet Mushrooms last fall. The information on the website and included with the kits’ instructions said to not really expect a harvest until the second year which is finally less than six months away! I have been diligently adding compostable organic material to their separate 2’x2′ raised beds to feed the mycelium for a year and a half and have my fingers crossed that in spring 2016 I will have the Holy Grail of forage mushrooms growing in my backyard! 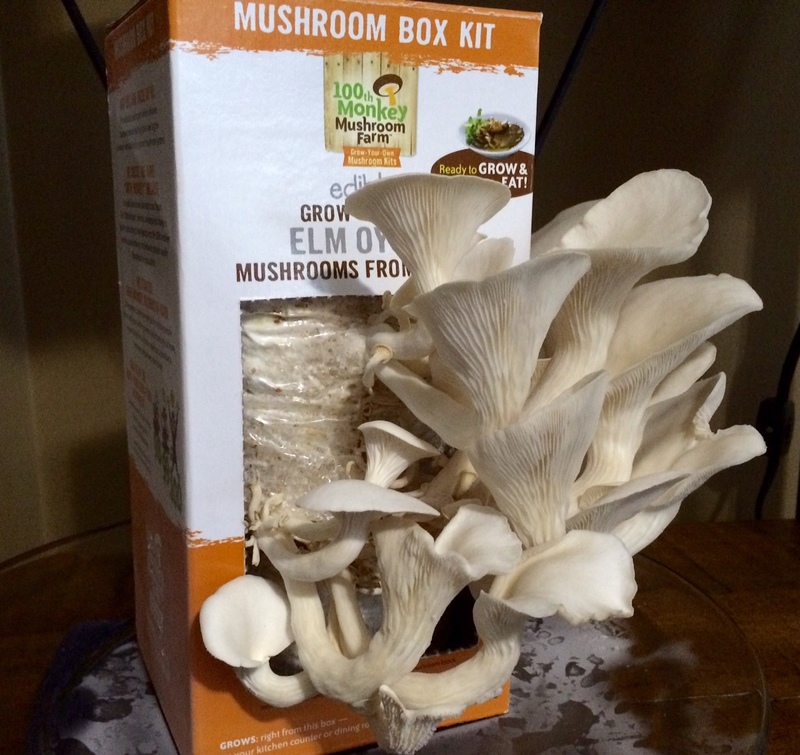 This entry was posted in Elm Oyster Mushrooms, Fungi, Indoor growing, Mushrooms, Organic, Shiitake Mushrooms, Urban Farming and tagged Morel Mushrooms. Bookmark the permalink.